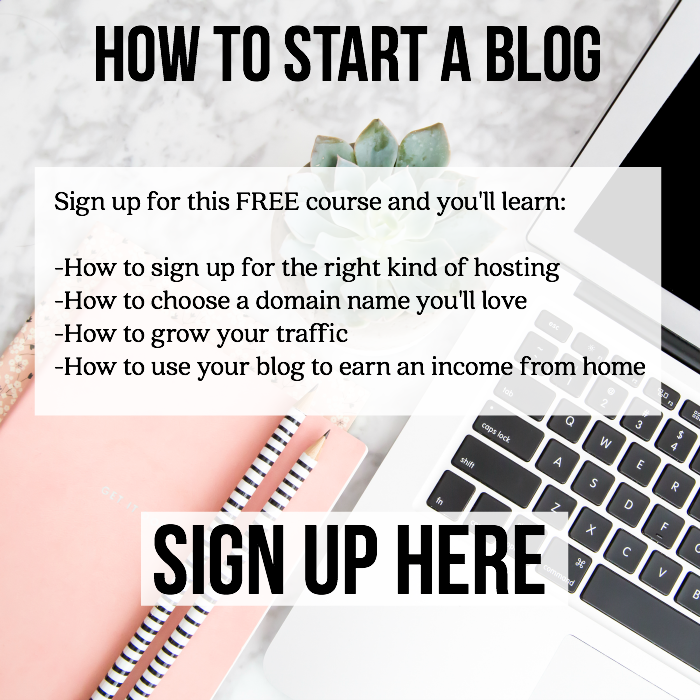 Thank you to Makewonder.com for sponsoring this post. Are you looking for the perfect holiday gift for your kids? 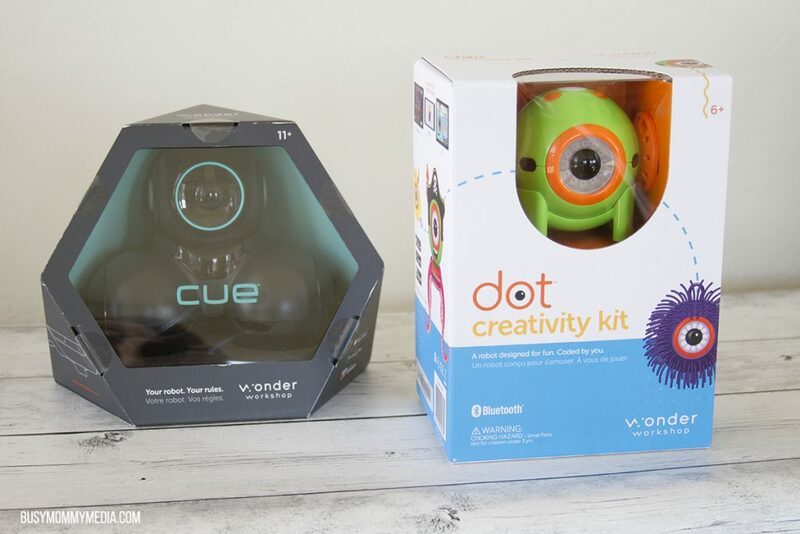 Cue and the Dot Creativity Kit are both great STEM toys your kids will love. These educational toys will have your kids learning basic coding skills and having a blast at the same time. 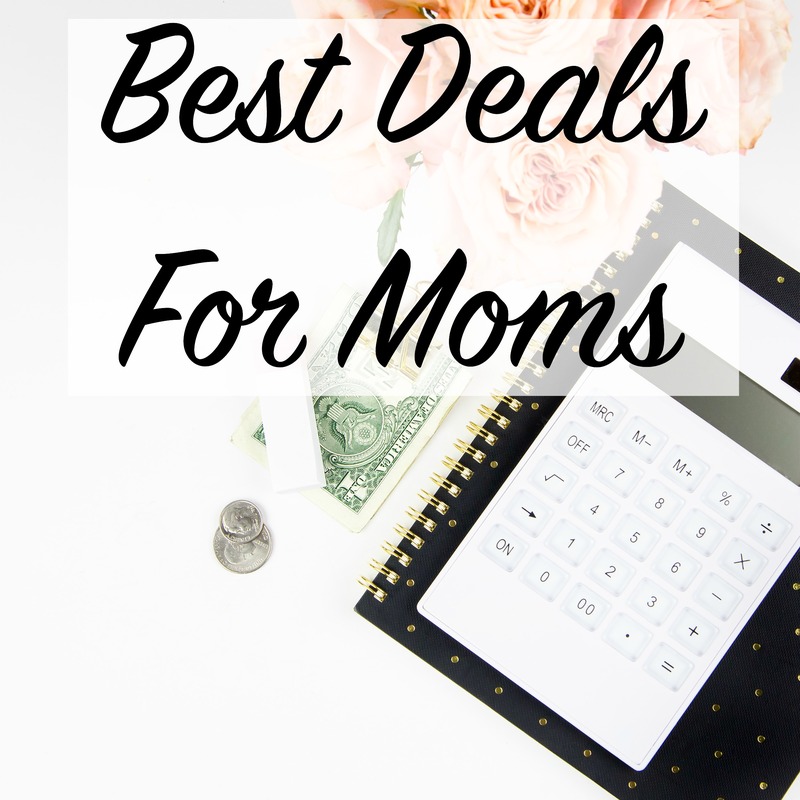 With 6 kids, finding the perfect holiday gift can be tricky, especially for the younger kids since it feels like they already have just about every toy out there (adding de-cluttering to my list now). I’m getting pickier about what I’ll buy too. I want toys that are not only entertaining, but also help my kids to develop the ability to think for themselves and teaches them important skills they may need later on. 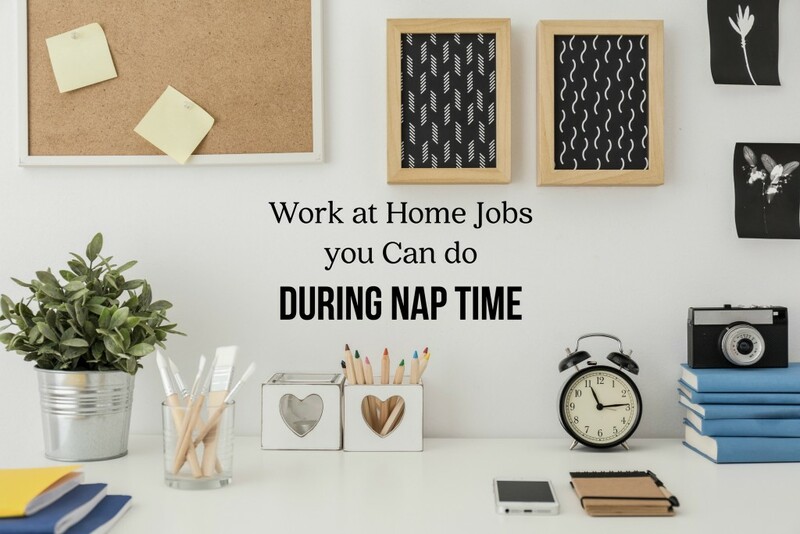 I’ve seen how competitive the job market is now, and it scares me a bit for my kids when they are ready to branch out on their own. My job is to make sure they have the experiences they need as they grow to help them have a foundation that they can build on when they join the work force down the road. Technology and engineering jobs are in high demand and I suspect that will only grow. Since my kids have a strong interest in STEM toys already, I try and encourage that however I can. I was so excited to discover two fantastic STEM toys that would be perfect under the Christmas tree this year. 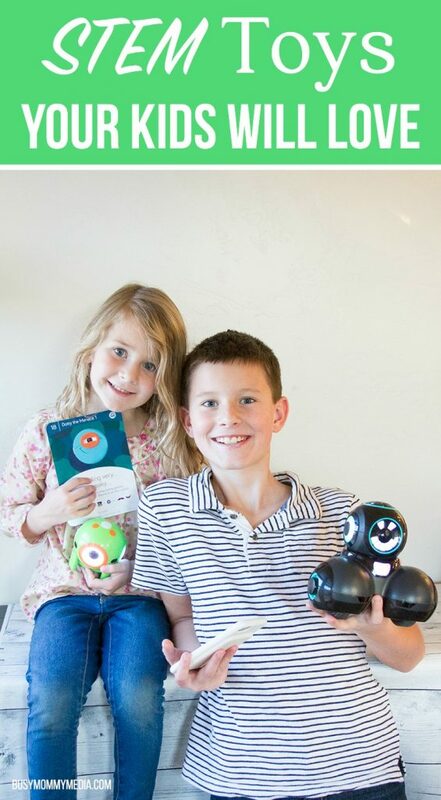 Cue and Dot Creativity Kit get kids learning about coding in a way that is fun and keeps them coming back for more. 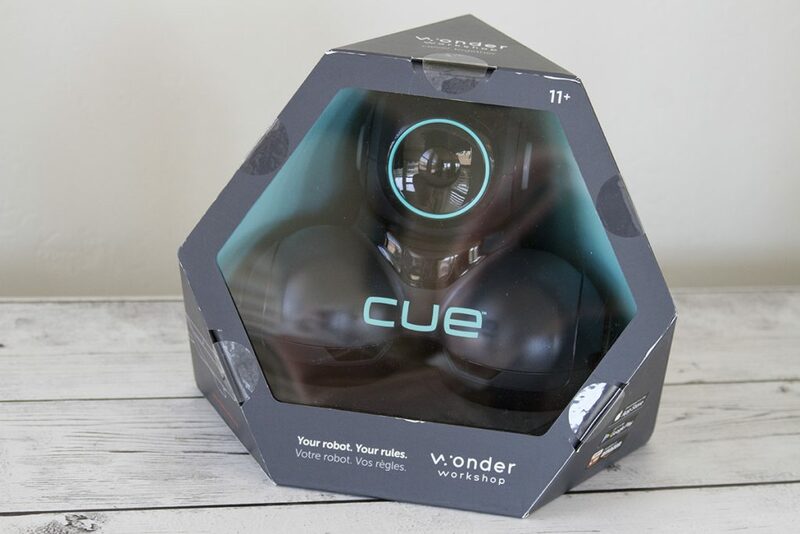 Cue is Wonder Workshop’s newest robot toy, designed for kids ages 11+. My 11 year old has absolutely loved it and he’s found so many different ways to play with Cue that it never gets old. This STEM toy has some fun little features that tween boys absolutely love. You can even choose from four quirky avatar personalities – Charge, Smirk, Zest and Pep. My 11 year old loves that he can text Cue and have it respond. He gets a kick out of texting “tell me a joke” and seeing what Cue responds. Depending on what he asks, Cue will either respond verbally or text back. For a kid who loves any sort of video game (and can get lost in them for as long as I’ll allow it), having a toy that is interactive but still holds his attention is fantastic. I love seeing all the creative things he comes up with and he has so much fun showing off the tricks he makes Cue do. 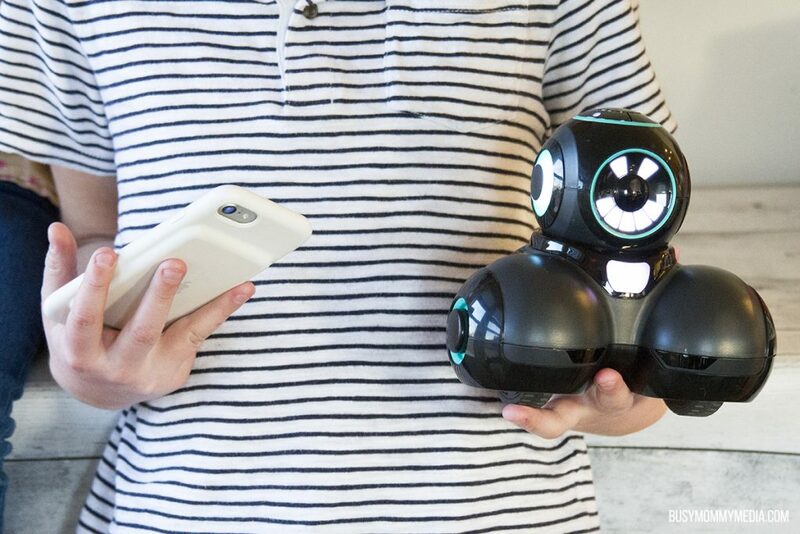 The Dot Creativity Kit comes with Dot, a clever little robot, and everything you need to complete dozens of Do-It-Yourself projects. Designed for kids ages 6-10 and with fun colors and projects that are appealing to younger kids, this STEM toy is the perfect introduction to programing. My kindergartner loves being like her big brothers. She’s watched them play with all kinds of robotic toys for years so she was thrilled to have one that was on her level. The app was very easy to use and walked through progressively more challenging tasks as you go. There are so many cute project options. My daughter is especially excited about one project in particular: building a personal room guard to alert against pesky sibling intruders. With younger twin sisters, she can’t keep anything in her room out of their way so maybe she can code her way to personal space. I really appreciated how easy it was to jump in and figure out what the next step was. My Kindergartner is still a bit on the younger age for this so there were a few things she needed help with (or just wanted someone to play along with her). The instructions are so straight-forward that I had no problem helping her, even though I don’t have much experience with coding. 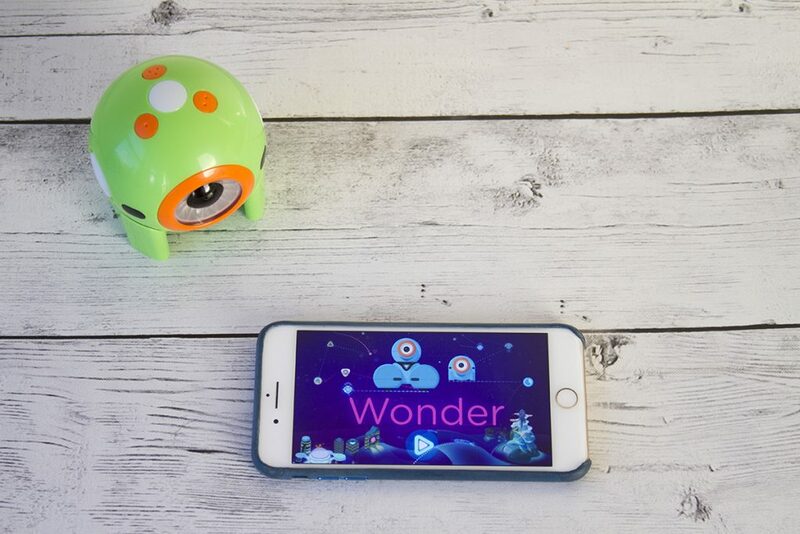 For more great STEM gift ideas this holiday season, visit The Wonder Workshop. 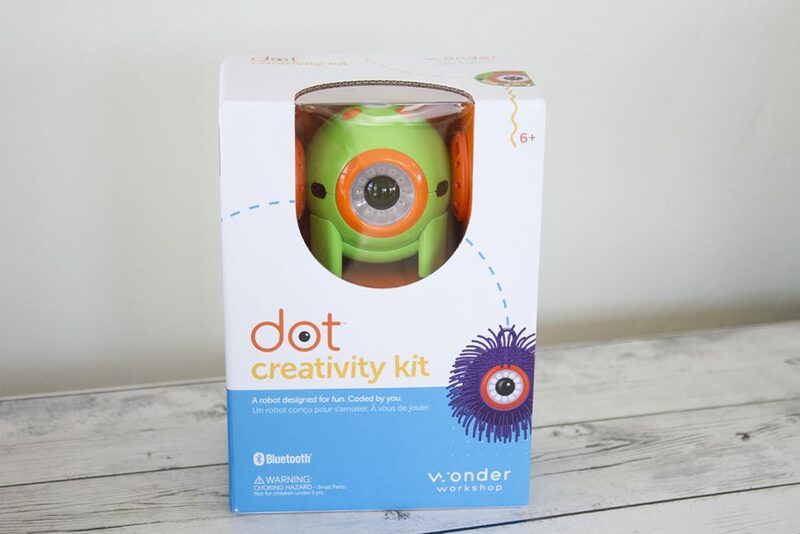 We have a Dot Creativity Kit (ARV $79.99) to give away to one lucky winner. This would make a fantastic holiday gift! This giveaway is open to the U.S. Winner must be 18+. Please see our site’s Terms and Conditions for a complete list of our contest and giveaway rules. Entering this giveaway opts you in to our mailing list and allows us to send you occasional updates. Want to be notified when we post a new giveaway? Be sure and subscribe so you don’t miss out on anything. Rachel knows what it is like to be busy and worry about balancing everything without losing your sanity. As a mom of 6 incredibly different kids, including twins, she's just about seen it all . . . when she isn't too sleep deprived to notice. Rachel holds a B.A. in English and is a former teacher. She is the creator of Busy Mommy Media and works full time from home as a blogger and marketing consultant. Honestly I have never heard about this product before and I am always looking for “toys” that challenge children by learning in fun and exciting ways. I like that this is easy to use and walks through progressively more challenging tasks as you go. They do love STEM activities. I think they would love the kit because it has such a variety of things for them to do. Science is my son’s favorite subject, but some different toys and kits need parents to interpret the instructions. I like how this kit seems to have really good, clear instructions, so he can gain confidence doing it all on his own! They do love STEM toys and they love using their minds….imagination to create things. I do love STEM toys and activities. I like that they allow for creativity and problem solving. My daughter is interested in coding and this toy looks like a ton of fun! My nieces and nephew would enjoy these because they are interactive. We have never done them before but I know that they would love the different things they can do! 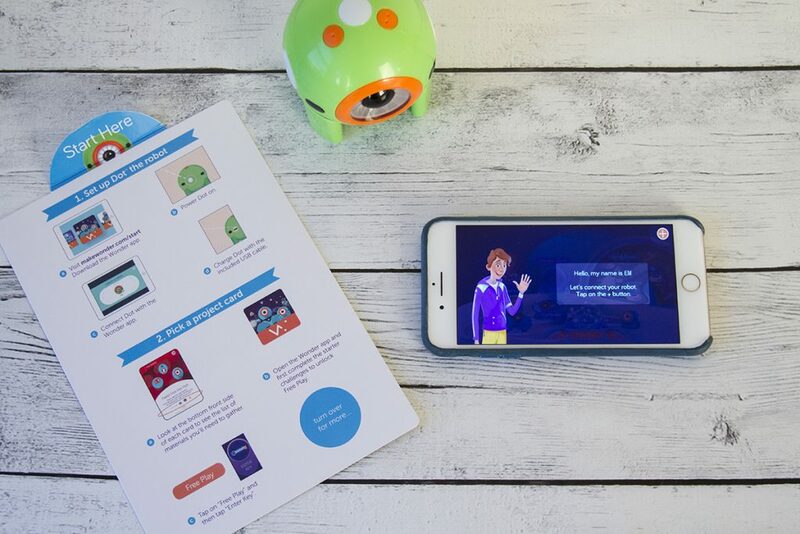 These products are great at encouraging kids that learning is fun! (and coding) Great products and giveaway. My son loves everything and anything to do with any kind of robot/learning stuff. I love stem toys for the kids. They enjoy building and I think it helps with creativity. My grandson and granddaughter LOVE stem toys!!! my kids love STEM toys. they are always trying to learn and create. Yes, she is starting to use them. Just love that playing can be educational. My daughter loves STEM toys and activities. I think she would love the Dot Creativity Kit because it uses technology to access the lessons. Yes my kids love these toys and activities. They would enjoy succeeding at the coding challenges. The girls would love this. They love any creative activity. i think the stem toys are great. Our son would love to use his coding skills with it. 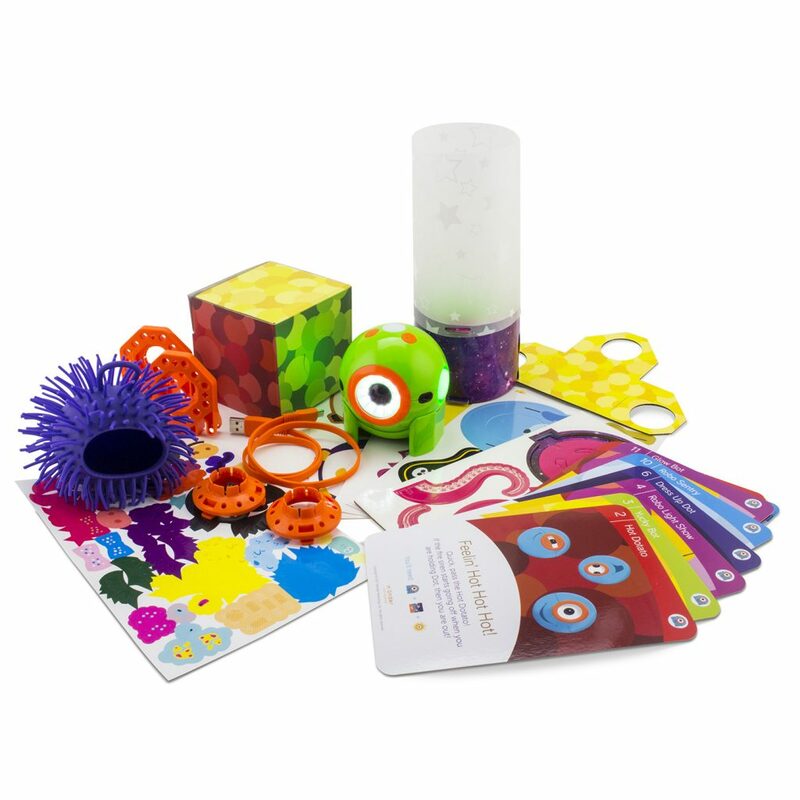 The love STEM toys as it lets them be as creative as they want to be and think outside the box. They do love them. I think they will love this one too. They like to be technical. My grandkids do not have any Stem toys, but I know they would both love them because they both love new tech stuff. Yes, they are obsessed with STEM activities. They like to solve problems and build things. My boys love to do things that involve their brain. They would adore this! 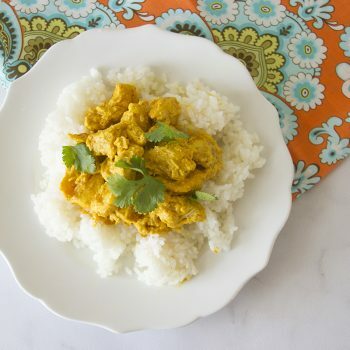 This Easy One-Pan Butter Chicken is such a quick dish to throw together and it is always a hit with my family. We have this at least several times a month. You can serve this over cauliflower rice to make it KETO or serve it over rice for a great family meal. 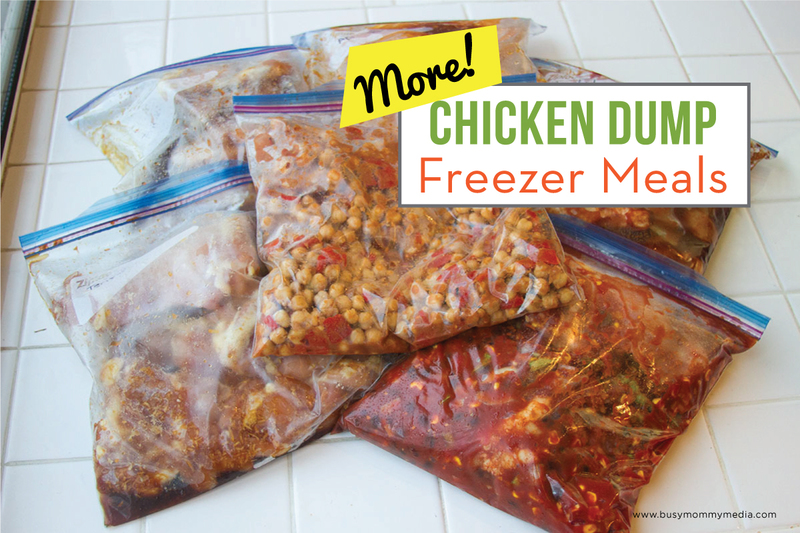 Whatever you choose, this recipe is delicious every time! 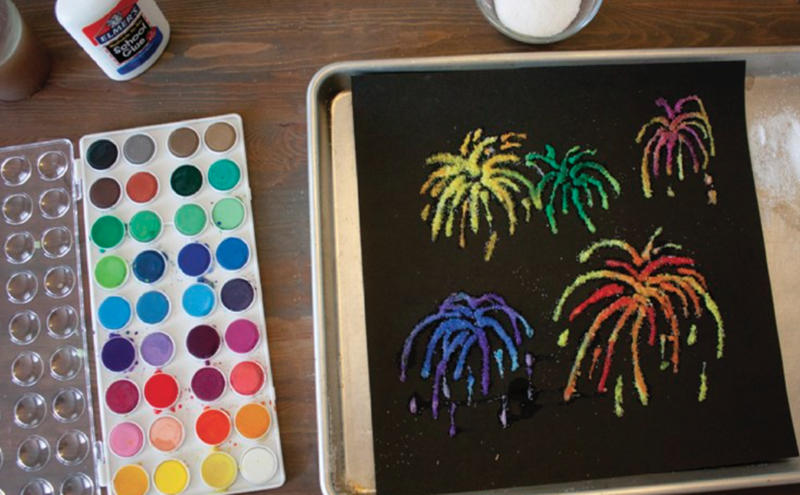 Are you looking for a fun (and edible) Easter craft for kids? 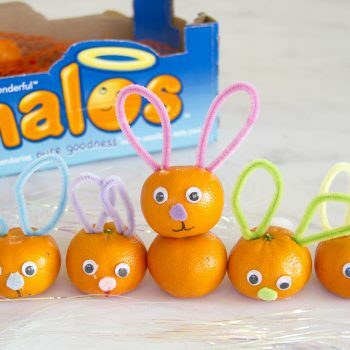 These DIY Easter Bunnies made with Wonderful Halos are such a fun Easter craft for kids. My girls had a lot of fun making these and afterward they had a healthy snack to enjoy too!